What do Einstein and da Vinci have in common? Each was an artist and a scientist. If you are interested in connecting your right (intuitive, visual, musical, artistic, innovative) brain to your left (rational, analytical, logical, sequential, and mathematical) brain, this course is for you. We will explore the creative side of computing in the context of music, sounds, images, and other digital artifacts. We will learn about media modeling and computational thinking in the liberal arts and sciences. We will develop several digital artifacts. We will learn how to use computers to explore, visualize, speculate, and invent. Homework #1 is now posted. Intro to Fractals from Wikipedia. An introduction to pair programming. This 9-minute video describes what pair programming is, the do's and don'ts of effective pairing, and the pros and cons of pair programming. Here is the accompanying worksheet. CofC Library resources related to Computers, Music, and Art. Paper prototyping - what is it? A Cappella Dreaming: 10 Voices, One Shot The a cappella group Straight No Chaser has taken a not-so-straight path to a five-album recording contract. 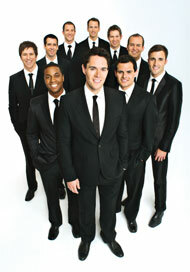 The members, now mostly in their 30s, began singing in the act while undergraduates at Indiana University. The reactable hardware is based on a translucent, round multi-touch surface. A camera situated beneath the table, continuously analyzes the surface, tracking the player's finger tips and the nature, position and orientation of physical objects that are distributed on its surface. These objects represent the components of a classic modular synthesizer, the players interact by moving these objects, changing their distance, orientation and the relation to each other. These actions directly control the topological structure and parameters of the sound synthesizer. A projector, also from underneath the table, draws dynamic animations on its surface, providing a visual feedback of the state, the activity and the main characteristics of the sounds produced by the audio synthesizer. See reactable live YouTube video. The Princeton Laptop Orchestra (PLOrk) is a newly established ensemble of computer-based musical meta-instruments. Each instrument consists of a laptop, a multi-channel hemispherical speaker, and a variety of control devices (keyboards, graphics tablets, sensors, etc.). See PLOrk: Princeton Laptop Orchestra (Fox News) YouTube clip, Dan Trueman: Silicon/Carbon, and PLOrk website. Listen to PLorK MP3 recordings. Researchers play song recorded before Edison. The 10-second recording of a singer crooning the folk song “Au Clair de la Lune” was discovered earlier this month in an archive in Paris by a group of American audio historians. It was made, the researchers say, on April 9, 1860, on a phonautograph, a machine designed to record sounds visually, not to play them back. But the phonautograph recording, or phonautogram, was made playable — converted from squiggles on paper to sound — by scientists at the Lawrence Berkeley National Laboratory in Berkeley, Calif.
Richards R. (2001), "A New Aesthetic for Environmental Awareness: Chaos Theory, the Beauty of Nature, and our Broader Humanistic Identity". Journal of Humanistic Psychology, Vol. 41, No. 2, pp. 59-95. Spehar, B., C.W.G. Clifford, B.R. Newell, and R.P. Taylor. (2003). "Universal Aesthetic of Fractals." Computers & Graphics, vol. 27, pp. 813-820. Chazelle, B. (2006), "Could you iPod be Holding the Greatest Mystery in Modern Science? ", Math Horizons, vol 13, April 2006. Algorithmic thinking is likely to cause the most disruptive paradigm shift in the sciences since quantum mechanics. The big ideas revolve around universality, duality, and self-reference. Jeffrey Elkner, Allen B. Downey and Chris Meyers (2008), "How to Think Like a Computer Scientist - Learning with Python)", 2nd ed., The Open Book Project. Yue-Ling Wong, Digital Media Primer. ChucK is a new (and developing) audio programming language for real-time synthesis, composition, performance, and now, analysis - fully supported on MacOS X, Windows, and Linux. Also see the miniAudicle - a light-weight integrated development environment for the ChucK digital audio programming language. Here are some audio samples to play with: BaseLoop.mp3 (84K, 5 secs), DrumsLoop.mp3 (84K, 5 secs), Guitar1.mp3 (320K, 20 secs), and Guitar2.mp3 (240K, 15 secs). Download Python (for Windows or Mac OS X), and Python Imaging Library (PIL) (for Windows or Mac OS X).